It never ceases to amaze me what is out on Twitter! A wealth of POCUS with some fabulous images, some really interesting infographs, trials, reviews and resources. I have done my usual trawl to try to snapshot what I see as the best of the lot this week. Sit down, caffeinate and digest…. So the great fluid debate runs on…and on and on! 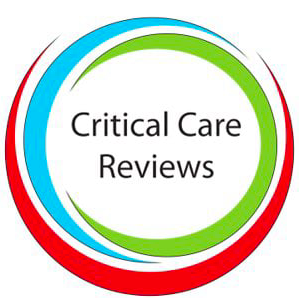 But the last week saw the release of 2 studies that stimulated a storm on Twitter and in the world of Crit Care. Is it time to put N saline to bed?? My takes on whether balanced crystalloids are better than N saline for critically ill patients are summarised in 2 infographs below. Click them to download them and look here for more infographs! What about whether balanced crystalloids had a benefit in patients admitted to the ED Vs N Saline? And whether there was a difference amongst the critically ill patient too! A lovely paper from Saudi here which discusses the here and now of IV fluid therapy. LV diastolic dysfunction for the Intensivist! This has always vexed me…now clearer on reading this. Sudden Unexplained Nocturnal Death Syndrome…a real worry! This its a nice article, focussing on SUNDS…which does not sound dissimilar to SIDS. Much of this is not research based, but anecdotal and retrospective, but makes for a really interesting read. A nice article on endocardial pacing in the critically ill.
A nice article on pre-operative hypertension. Are we getting our ‘knickers in a twist’, too often? We all get the patients on the unit we can’t seem to get off the ventilator. This article takes us through some of the logistic nightmares involved in this sort of care. Another reason why patients in corridors could be at risk! A great paper from the EMJ focussing on behaviour of clinicians when seeing patients in the dreaded corridors of overcrowded hospitals. Did they alter their standard practice? On demand might be superior to the routine! It appears that on demand nebulisation of acetylcysteine and salbutamol may be non-inferior to routine provision in patients struggling on ventilators. So lactate clearance may be even more inmortant as a prognostic marker for sepsis. This rather nice paper looks at it in the 3rd world and is worth a look. A nice article on why high respiratory drives can scupper you as far as liberation from artificial ventilation is concerned. Also, diaphragm thickening is mentioned, as well as other techniques for assessing Resp drive. It may not be as simple as a PLR! So Mean systemic pressure analogue is where it’s all at in order to determine whether your patient is going to be a responder to a fluid challenge or not. Forget CVP! Get the Azilsartan in for hypertension! A new drug that may have a real effect…but I wouldn’t want to take it and stand up too rapidly! See the trial here. From the Faculty of Intensive Care Medicine. An article on the state of our ITU’s which made the Guardian. Main points below, click the messages to see the Guardian article, the main article can be found here. Duncan takes us through coping with the Coroner! Duncan Chambler takes us through what to expect at a visit to the coroner’s court. Sadly, this is a large part of what we have to do on the ICU , but can be daunting for trainees or court naive people. Matt Rowland has a nice blog here all about physician burnout and the trouble we face if we get, the all too easy to do, work life balance out of kilter! Plague on the ECG leads 1! Plagued with Shunt and VQ mismatch! Check out the Plague as he tackles shunt and VQ mismatch. Click the first image to take you to his page. Reminder of those enzyme tests! Want a game of ‘Rock, Paper, Scissors’?! A fabulous representation of the peripheral nerves of the hand and wrist and a way to test them! If you are a subscriber, you can read the article as well! Click image..
Do spinals save that #NOF?! How long to train the newbe’s?? We have pondered this for some time and I have made waves to try to get this introduced onto the undergraduate programme here at Northampton (Affiliated with Oxford and Leicester deaneries). Here is a paper looking at how much manpower was needed to facilitate and introduce / run a programme scoping the whole of basic ultrasound. Is the stethoscope R.I.P…part 2…maybe not? Read this brilliant article discussing the addition, not replacement of the stethoscope to traditional auscultation. Insonation….like it! Click the link here for a library of the critters! Mitral Valves can be done without surgery! Use a balloon to open up your rheumatic valve! Sometimes, the lungs are for more than breathing…they’re for seeing! Cian McDermott reminds us you can get great views of the heart through the lung! Tamponade and it effects elsewhere! So a double barrel septum??! Manu reminds us why they may be hypotensive! Watch it when your draining! @EMugs_ tell us how to measure the IVC correctly! We CAN use hot to predict fluid responsiveness in the ventilated patient…but what effect does IAP have on the values? Will it cause inaccuracies? So use the SVC….not IVC! Of greater concern is the widespread classification of patients with heart failure (HF) based on whether EF is preserved (HFpEF) or reduced (HFrEF). In fact, EF does not provide any specific information on causation or underlying mechanisms. Aidan Barron takes us through both techniques in a fabulous video! Another great from Jacob Avila. Goes with what we said above, but download the poster from iFAD here. You want to be Blood Group AB! It appears that Matt Morgan and colleagues may have hit onto something here! Check out this fabulous bronch simulator. Get’s you around the anatomy beautifully. This will be brill for trainees, particularly those going through thoracic anaesthesia modules. You want to ‘bling up’ your presentations!? Take a look as First10EM guide us through the best sites.